Things have been quiet here, with a reason - but now it is time to reveal why. 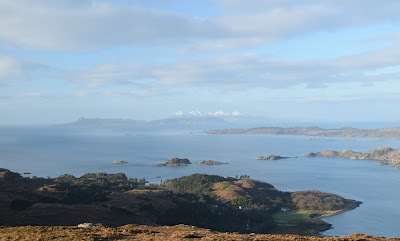 I've had loveofscotland.com for quite a while but neglected it for several years for this blog. But no more! The core of the site is a tour of Scotland, which my contemporary eye found stale, my decade-old assumptions clunky and poor style glaringly obvious. It is better now - but I'd be very interested in what improvements you think could be made! 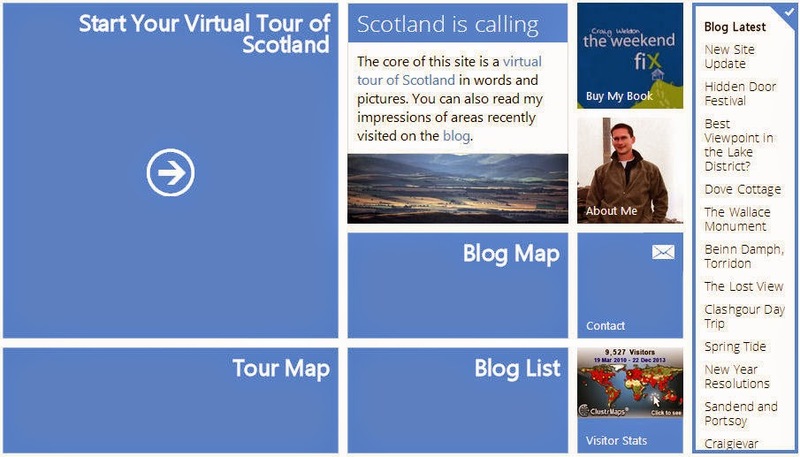 At the moment there are only seven pages of the tour available, from Stirling to Galloway - but there is also a googlemap of the blog. Googlemaps can have layers - and that leads to a fun thought. What other blogs would like to be included on the googlemap? Imagine a situation where multiple outdoor blogs, say, are linked from one location, the traffic of each easily available to all. Worth a shot? There's been little activity recently, for reasons that will soon become apparent! But in the meantime, let me tell you about an event in Edinburgh coming up on Friday 4 April. The Hidden Door Festival is a week-long emergent culture festival in one of Edinburgh's many mysterious vaults. Friday includes plenty goodies including local indie band Meursault, fresh from Texas' SXSW festival. But I'm not posting because of the music. An interesting project I had a *very* small part in (as a kung-fu zombie...) - a crowdfunded supernatural webcom called Godhammer - is being premiered in Vault 17 at 3pm. I've no idea what Godhammer will be like - but if it is anything like the director's previous films, Sockzilla, Zombie Asockalypse, or my music video Dance Disco Robot, it should be fun! Best Viewpoint in the Lake District? 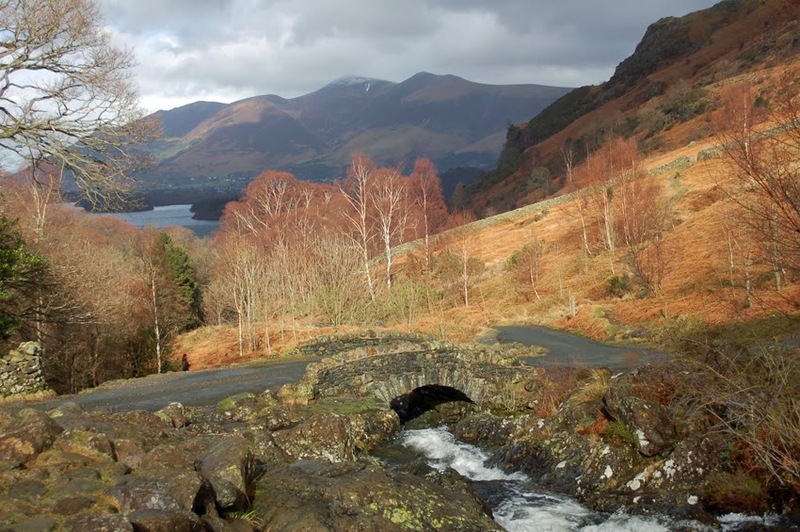 What is the best viewpoint in the Lake District? I have heard many spots praised. Recently, I fancied taking a look. Would it be Blea Tarn? Catbells? Ashness Bridge? Somewhere else? My first visit was to Blea Tarn. This lochan has a view across to the knobbly Langdale Pikes, the most photogenic hills in the Lakes. 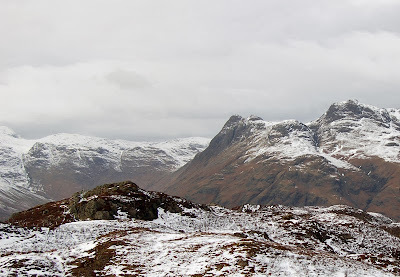 It wasn't bad - but the view from Lingmoor Fell, a Marilyn above the Tarn, is in my mind superior. The time to be here would be an hour before sunset on a fine autumn or winter's day, the shadows picking out every wrinkle in the hills opposite. Quite a lot of the other well-known viewpoints have one thing in common - they are near Derwentwater. 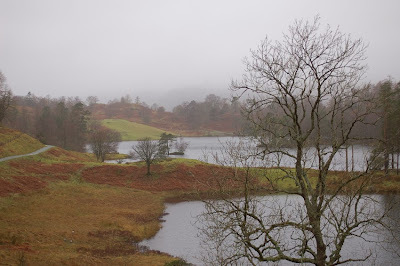 We took a walk around the perimeter of the lake, checking out Ashness Bridge, Castlstead Hill, and others - though not Catbells, as the rain had set in for the day by then.